The Boss is out of town, so we are putting everything in the store on sale! Save 10% on any item with only a $100 minimum purchase. Act fast before he gets back and puts a stop to our craziness! Use coupon code: BOSS10 at checkout. The coupon is ready to go as soon as you receive this email, so with hunting season right around the corner, don’t let the big bucks get away! Click here and let the shopping begin! Here is a sneak peek of some of the items that will be on sale at our Customer Appreciation Day this Saturday, August, 20th! Don’t miss our Customer Appreciation Day this Saturday, August, 20th. 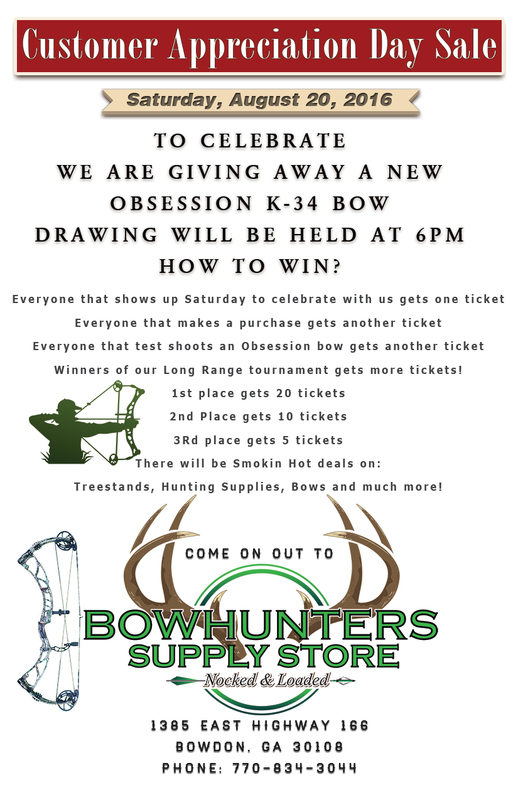 It will be a great day of family fun and you could walk away with a brand new Obsession K-34 if your number is selected! 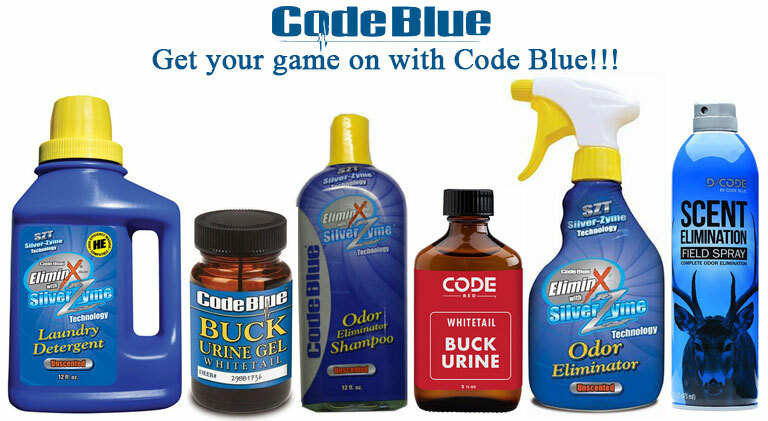 Get your game on this hunting season with great products from Code Blue. Click the link below for the complete lineup!